A Learning Management System is an online software application that helps the organization manage trainings effectively. Training through the LMS is flexible and LMS is a centralized learning platform to assign and monitor ALL Training programs. 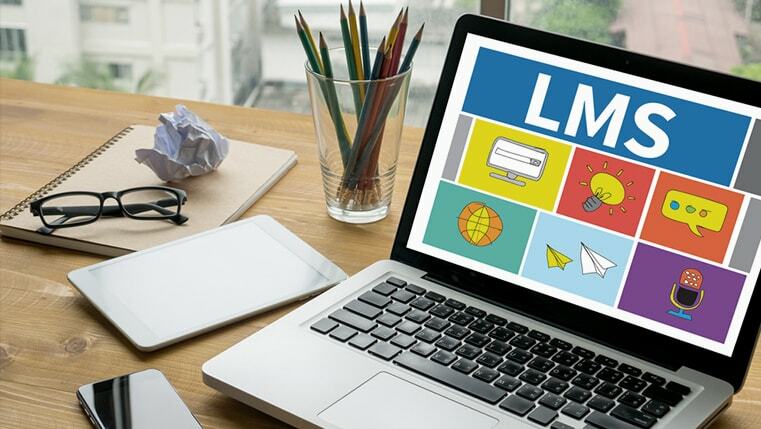 Organizations are increasingly depending upon the LMS to manage their classroom and e-learning programs assigned to both group and individual learners. LMS has tracking and reporting facilities to track all the training events. Updating and upgrading training is easy and consumes less time through an LMS as it offers a centralized location for the training data. Irrespective of having all these benefits, training managers often complain that the completion rates are less compared to the number of registrations. What could be the reason for this? Lack of motivation, lack of proper guidance on how to take the courses, delayed response and support, technical and Internet issues can be the major reasons for the low completion rates. There are some unique and best methods to motivate the learner to complete the course. There must be a combined effort from the training manager and the e-learning designers to motivate the learner. For example, it is the training manager’s responsibility to ensure that the training needs of the learner exactly match the assigned training program. And the e-learning designers should design courses with relatively fun and interactive elements. Appropriate learning strategy, user friendly navigation, blended learning method in training can motivate the learner to complete the course on time. A collaborative learning environment, allowing the learner to participate in various discussion forums while taking the training can improve the interaction between learners and motivate them to complete the assigned course. Providing a quick response to the learners’ queries, clarifying their doubts, whether big or small, and supporting them with various technical issues is very important and plays crucial role in completion of the training. Generally learners may have various issues about their login, username, password, time, Internet issues and may face other errors while taking the course. All these issues may sound minor but a delay in response to these issues can cause inconvenience to the learner. With this, he may lose interest and may not be able to proceed with the training. To avoid this, it is a must to have a full time LMS administrator to provide quick response and support employees and clarify all their queries. That’s how users get 24/7 support and happily proceed with the assigned training. Employees deal with tough deadlines and targets every day. They may not be able to login on a hectic working day and look at the assigned training. It is the responsibility of the LMS administrator to send learning updates to them on regular basis and keep them informed about their status. Also, there may be a need of a gentle follow up mail if there is no response to the initial mail. Involving direct supervisors can help in organizing the training and managing the time of learners effectively which again helps in fast completion of the training. Training curriculum has to be categorized well for it to be easily understood by the learners. Some employees may need only specific modules in the assigned training. Training navigation should be very clear, and then only then learners will be able to take the relevant module and learn from it. Taking SMEs’ help in deciding the training curriculum and following up with learners can enhance and increase the completion rates. It is also important to evaluate the whole learning process right from the introduction to the certification which helps in making the relevant and necessary changes in the administration and training process. Hope the above tips are useful and informative. Please share your views.